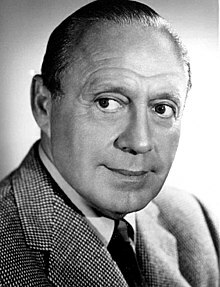 Jack Benny (born Benjamin Kubelsky; February 14, 1894 – December 26, 1974) was an American comedian, vaudevillian, radio, television and film actor, and violinist. Recognized as a leading 20th-century American entertainer, Benny often portrayed his character as a miser, playing his violin badly, and claiming to be 39 years of age, regardless of his actual age. Benny was born in Chicago, Illinois, and grew up in nearby Waukegan, Illinois. :6 He was the son of Jewish immigrants Meyer Kubelsky (1864-1946) and Emma Sachs Kubelsky (1869-1917), sometimes called "Naomi." Meyer was a saloon owner and later a haberdasher who had emigrated to America from Poland. Emma had emigrated from Lithuania. Benny began studying violin, an instrument that became his trademark, at the age of 6, his parents hoping for him to become a professional violinist. He loved the instrument, but hated practice. His music teacher was Otto Graham Sr., a neighbor and father of Otto Graham of NFL fame. At 14, Benny was playing in dance bands and his high school orchestra. He was a dreamer and poor at his studies, and was ultimately expelled from high school. He later did poorly in business school and at attempts to join his father's business. In 1911, he began playing the violin in local vaudeville theaters for $7.50 a week. :11 He was joined on the circuit by Ned Miller, a young composer and singer. The actual length of the laugh the joke got was five seconds when originally delivered and seven seconds when the gag was reprised on a follow-up show. 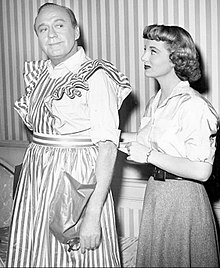 In fact, the joke is probably not so memorable for the length of the laugh it provoked, but because it became the definitive "Jack Benny joke"—the joke that best illustrated Benny's "stingy man" persona. The punchline—"I'm thinking it over! "—would not have worked with any other comedian than Benny. The actual longest laugh known to collectors of The Jack Benny Program lasted in excess of 32 seconds. The International Jack Benny Fan Club reports that, at the close of the program broadcast on December 13, 1936, sponsored by Jell-O, guest Andy Devine says that it is the "last number of the eleventh program in the new Jelly series." The audience, who loved any sort of accidental flub in the live program, is still laughing after 32 seconds, at which point the network cut off the program to prevent it from running overtime. A nearly identical exchange occurred over a year earlier, among renowned violinist Isaac Stern, actor Ronald Colman, Jack Benny, and Mary Livingstone. The quartet's back-and-forth, which centered on Stern's recent public performance of a Mendelssohn piece, was heard on an episode first broadcast on February 16, 1947. The resulting laughter lasted some 18 seconds, after which Benny retorted, "Mary, that's no way to talk to Mr. Stern." Later in life, while performing as a stand-up comedian in Las Vegas, Benny had just begun to tell an old joke about the salesman, the farmer, and the farmer's daughter: "So the salesman and the farmer's daughter come to the front door, and the farmer opens the door." At this point, Sammy Davis, Jr. walks onstage behind Jack, the audience screams, and Davis proceeds to speak and sing and dance for about 25 minutes while Benny continues to stand at center stage, quietly watching the spectacle. When Davis finally walks offstage and the audience's applause dies down, Benny continues to watch Davis offstage for a few moments, then, as the audience is finally quiet, continues: "... So the farmer said—" And that's as far as that joke got, because the audience laughed for minutes afterward. Jack Benny Middle School in Waukegan, Illinois, is named after the famous comedian. Its motto matches his famous statement as "Home of the '39ers". A statue of Jack Benny with his violin now stands on Genesee Street in downtown Waukegan. ^ "The Longest Laugh". Jackbenny.org. Retrieved 2008-10-20.